Matco Tools is very proud of its distributors. They come from various backgrounds and experiences. 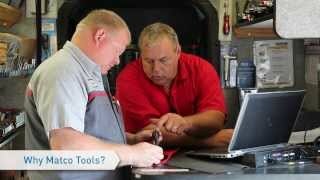 Many had the same questions you may have when considering to own a Matco franchise. Check out the following videos to hear reviews from a variety of our franchisees. Hop in the passenger seat for a ride-along with 10-year franchise owner Aron Davis. From beginning his day by eating breakfast with his family to calling on customers and restocking his shelves, you’ll see just what a typical day running his Matco Tools mobile franchise is like. And, as Aron hits the road in his small, Midwest hometown, you’ll see that no two days are ever quite the same. 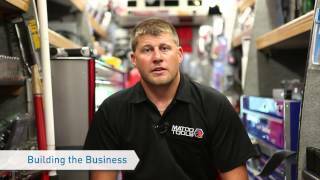 Wondering what to expect in terms of financing your very own Matco Tools franchise? It’s easier than you might think. Hear first-hand from two of Matco’s distributors, Doug Snell and Dan Burkett, as they share why they decided to finance through Matco and how it has worked out for them. Matco Distributors Dan Burkett and Kevin Vernon prove you don't need to have previous automotive experience to be a successful franchise owner. Through Matco's initial training and on-going support, Dan and Kevin were able to worry less about their lack of tool knowledge, and focus more on running the business and building relationships with their customers. Hear from both of these new Matco franchise owners as they reflect on how the overcame their newness to the industry.